Lennar Grand Opens the new models at Ashe Meadows next Saturday, March 23. 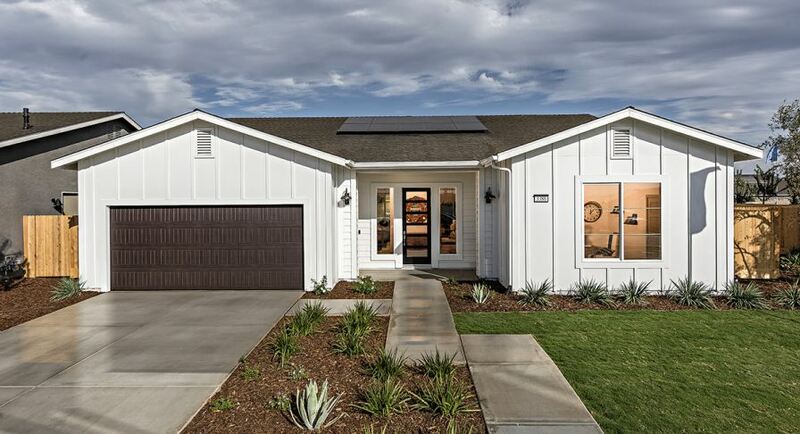 BAKERSFIELD, Calif. - March 13, 2019 - PRLog -- Lennar is excited to announce that Ashe Meadows, a new community that is now selling in Bakersfield, will Grand Open model homes from three distinctive collections on Saturday, March 23 from 11 am – 5 pm. The Chateau, California and Skye Series offer 11 floorplans to choose from in total and will showcase six models for home shoppers to tour. "We are so excited to unveil this model complex that showcases homes from three popular series of home designs now selling in Bakersfield," said Susan Wilke Vice President of Sales and Marketing for Lennar Central Valley. "These homes all come with incredible added value through our signature Everything's Included® program and are now selling at pre-model prices. Home shoppers who RSVP will be able to get updated on pricing." The Chateau Series at Ashe Meadows offers four distinctive floorplans that range in size from 1,787 to 3,167 square feet of living space. The single and two-story residences offer three to five bedrooms, two to four bathrooms with two-bay garages. The California Series also offers four distinctive floorplans, all single-story, which range in size from approximately 1,580 to 1,989 square feet of space. These homes provide three to four bedrooms, two bathrooms and two-bay garages. The Skye Series presents a collection of three single story home designs. These modern designs encompass 2,029 to 2,376 square feet of living space, with three to four bedrooms, two to three bathrooms and two-bay garages. Lennar's homes are all designed for the way modern families live today with open-concept layouts that maximize interior space, modern and well-appointed kitchens and luxurious master suites. Their signature Everything's Included® program also incorporates a high level of added features at no additional cost, including granite or quartz countertops, stainless steel appliances and integrated home automation. The event will take place as the Ashe Meadows Welcome Home Center, located off Mountain Ridge and Panama Lane in Bakersfield. Be sure to follow our Lennar Centtral Valley Facebook page to stay connected to activities around our communities. Mark your calendars and RSVP HERE to receive special updates about the Grand Opening, happening on Saturday, March 23. Visit www.lennar.com/bakersfield to see what amenidites are offered in the Bakersfield area. Hurry! The intrest list is filling up. Call us today to at (661)360-1217, visit our Ashe Meadows Website or CHAT NOW.